The Legislature did not meet this week, so the Roll Call Report continues its review of key votes from the 2015-2016 session. To increase the state gasoline and diesel fuel tax to 34 cents per gallon, an increase of 15 cents and 19 cents, respectively. This would have given Michigan the second highest gas tax in the nation. 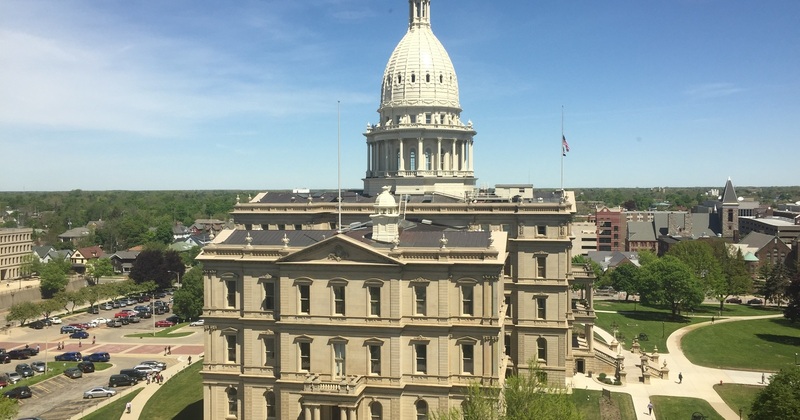 The House voted to send this to a conference committee, and a smaller gas tax hike plus a vehicle registration tax hike was ultimately adopted. To give the Department of Human Services (the state welfare agency) the authority to appoint agents with the same powers as peace (police) officers and limited arrest powers, for the purpose of investigating welfare fraud. The House has not voted on this bill. To allow a bailiff of the 36th district court to be dismissed for inability to do the job. This is the former Detroit “Recorders Court,” and the law that replaced it with the 36th district court permitted the current bailiffs to keep their jobs for life even if no longer capable of doing the job. The House vote on the bill described above. To give local health departments the option of requiring an "in-office consultation" rather than a facility inspection of a temporary food service establishment that serves only low risk foods as defined in the bill (examples include precooked hotdogs, popcorn or ice cream). The House vote on the bill described above. This was signed into law by the Governor two weeks later. To prohibit local governments from enforcing an ordinance that imposes regulations or restrictions on dogs based solely on their breed or type (such as pit bulls or Dobermans). The House has not voted on this bill. To make it a crime subject to 90 days in jail to not yield the right of way and pull over at the approach of an emergency vehicle with its flashing lights and siren activated. Under current law this is a civil offense subject to fines of $100 to $250. Also, to authorize up to 15 years in prison if the failure to yield costs the life of emergency personnel, and two years if it causes an injury. The House has not voted on this bill. To revise the law that requires an individual who obtains a pistol from a private person to first get a government permit. (This does not apply to purchases from a licensed firearms dealer.) The bill would clarify that a person who inherits a pistol would have 30 days to get this government license after taking physical possession of the pistol. To prohibit websites or apps designed for K–12 school purposes to sell, share or use for targeted advertising any information in a student’s educational record. The House has not voted on this bill.